Happy Pentecost! Today’s blog has taken a different direction than we intended – we have no internet (but we do have an abundance of water filling up the aquifer, so thank you Holy Spirit for the much needed rain), and so are doing everything through the phone. It’s been our tradition to draw slips of paper with the Gifts and Fruits of the Holy Spirit on Pentecost. It’s always fun (and sometimes surprising) to see what the Holy Spirit wants to give us. We have attempted to create a Gifts generator through a website we found (like we said, this post has taken a different turn than we intended). Hope it works! Click here for our Seven Gifts of the Holy Spirit Generator. 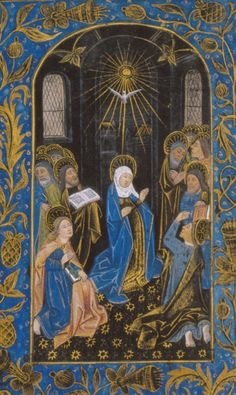 This entry was posted in Easter, The Church, The Spiritual Life and tagged Pentecost, Seven Gifts of the Holy Spirit by texasnuns. Bookmark the permalink.